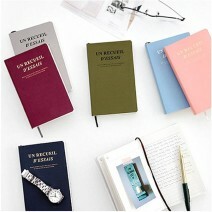 Iconic present a popular pocket notebook/journal, the Essay Book. The exterior has a lovely nostalgic feel to it, reminiscent of old style essay books. 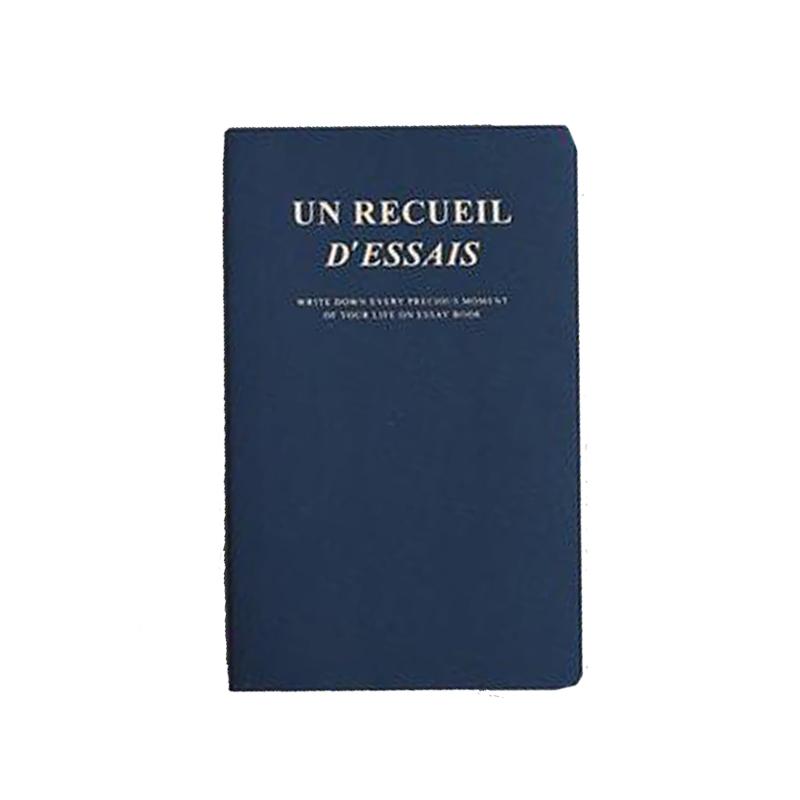 Inside you will find 256 pages divided up into note paper of various types (predominantly: 'essay' pages, which are opposite facing plain and lined pages to record snapshots of your life; and patterned note pages). The notebook has a wonderful feel to it and really is a pleasure to hold. It's a pleasing size - just the right dimensions but with a nice thick feel. A typical pocket notebook of this size would usually have 192 pages whereas Iconic's Essay Book v.6 has 256. It gives the Essay Book a nice thickness to it which makes it quite pleasing to hold yet it still somehow manages to avoid being bulky. Available in six colours, some of which have different finishes to the cover and different colour ribbon markers (see the images for more details).